Expanding folders make it possible to maintain clear sorting of patient documents needed on house calls by doctors, therapists, naturopaths and home health nurses. 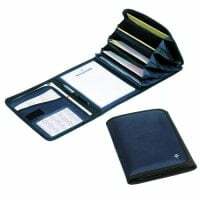 In our online shop, you may purchase high-quality expanding folders made from leather and polymousse at affordable prices. Room for file cards, prescriptions etc. 25,00 EUR* Not ready for shipping. Reserve today and we will ship as soon as possible. Expanding folders ease storage and sorting of documents, forms or prescriptions for doctors, naturopaths and therapists on house calls or during treatment outside of the surgery. 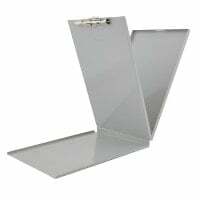 Document folders are also the best option for document administration in ambulatory disciplines. 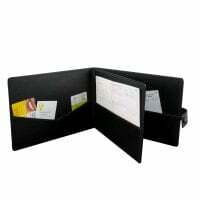 In this category, we offer you various expanding folders that are compatible with DIN A5 or DIN A4 formats. In addition to pre-printing instructions, forms for private dealings or treatment notes, you can sort prepared prescriptions or patient documents. Because of the clear and sorted arrangement, as well as the high quality craftsmanship, our expanding folders are ideal for use on house calls. 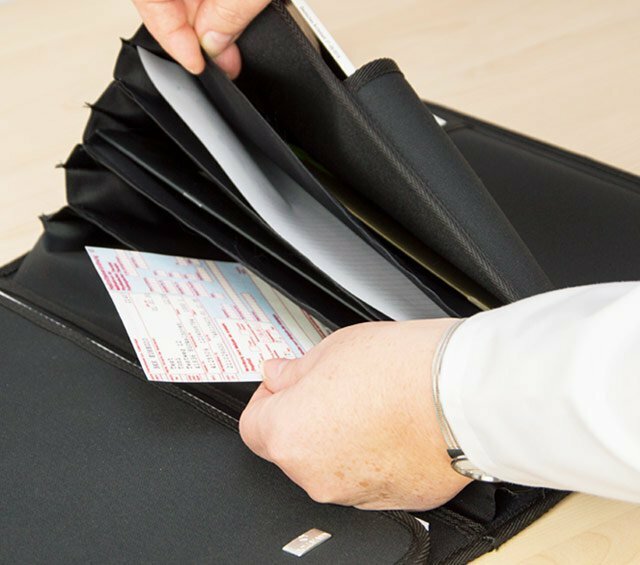 Our document folders are made from various materials, such as robust polymousse fabric or leather. M. Wright & Sons offers a particularly high-quality and stylish form folder. 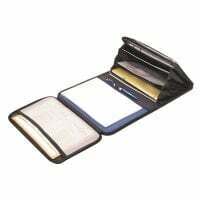 The outer material is soft, black fine cowhide leather and the inner compartments provide clear arrangement of your documents. Conveniently purchase your expanding folders for document storage online, at Praxisdienst.